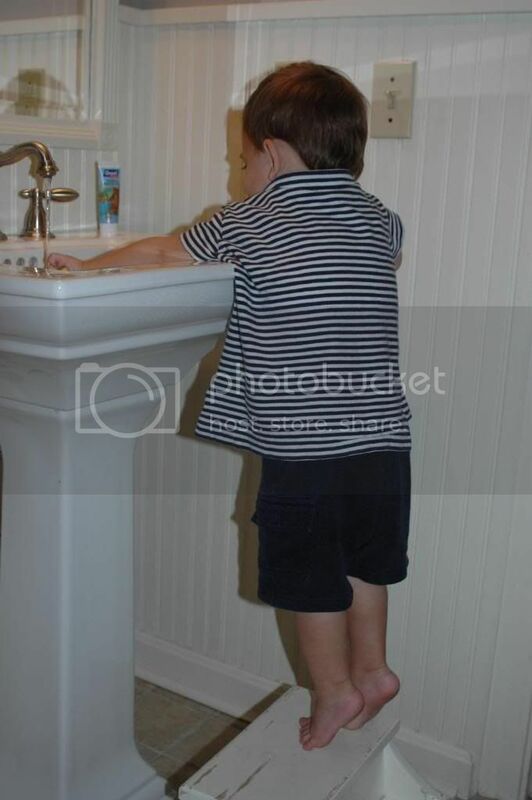 I barely wrote the words that I want to hang on the Charlie's baby-ness a little longer and next thing I know he is brushing his teeth all on his own, standing at the sink like a big boy. 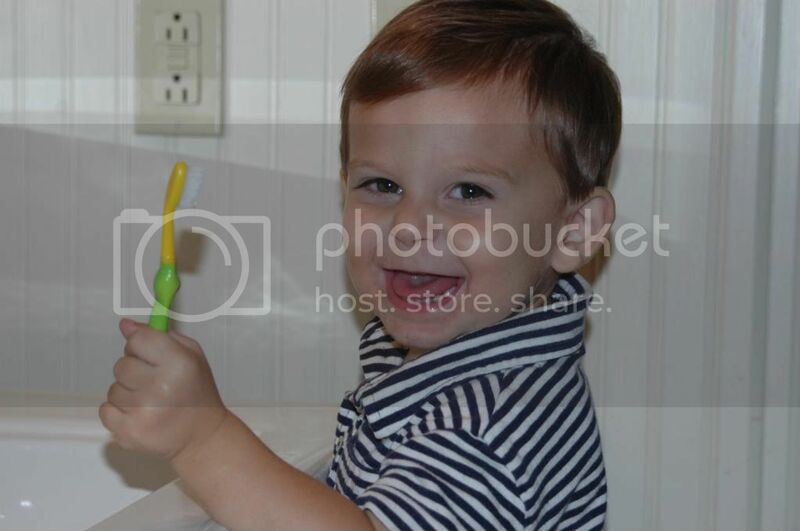 But that excitement you see has absolutely nothing to do with brushing his teeth. 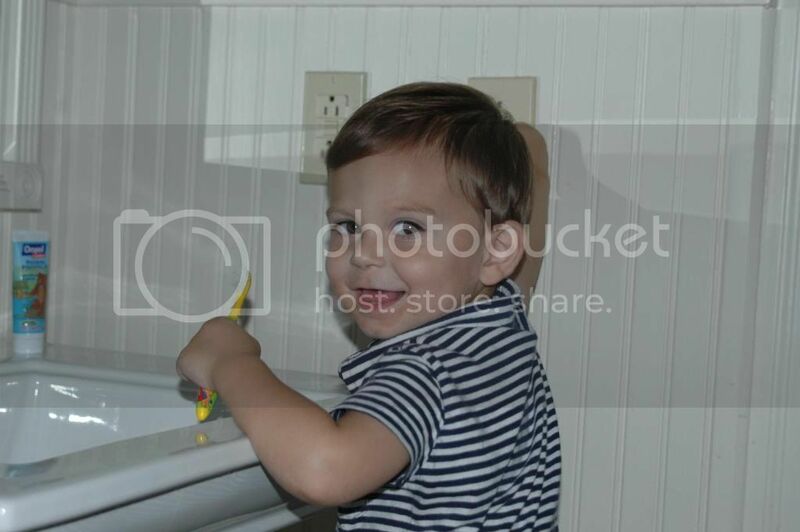 No, that big ol' smile is because in addition to being able reach the sink, he can also reach the light switch. The dimmer is an amazing discovery to this almost 2 year old.